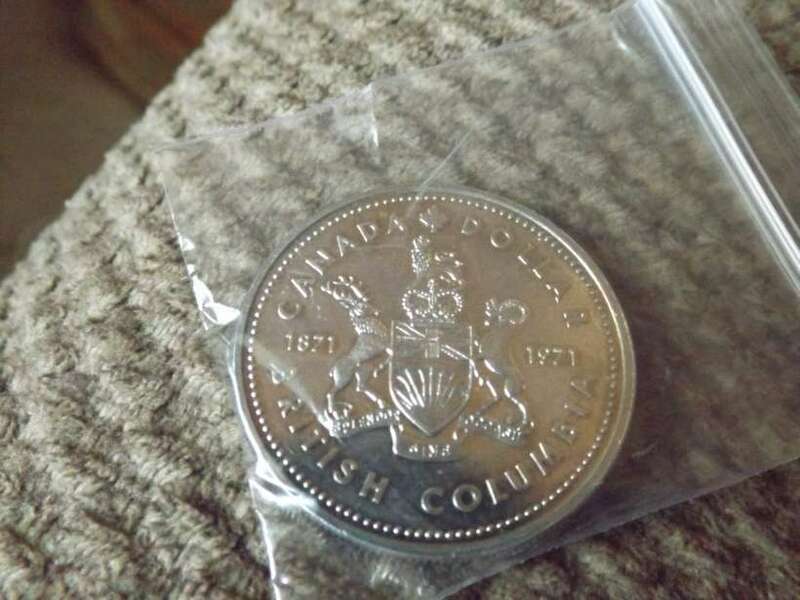 I understand that this coin is commerative of British Columbia. The coin I have does not have flowers on it like the photo on this website. Looking under 1971 coins, there seems to be only one kind (flowers) and no notation of another type. Here is what mine looks like. I'm looking to understand why mine is different. I'm thinking that the one with the flower is nickel while the one I have is silver? There are many more differences than just the dogwood blossoms. The entire reverse is different. 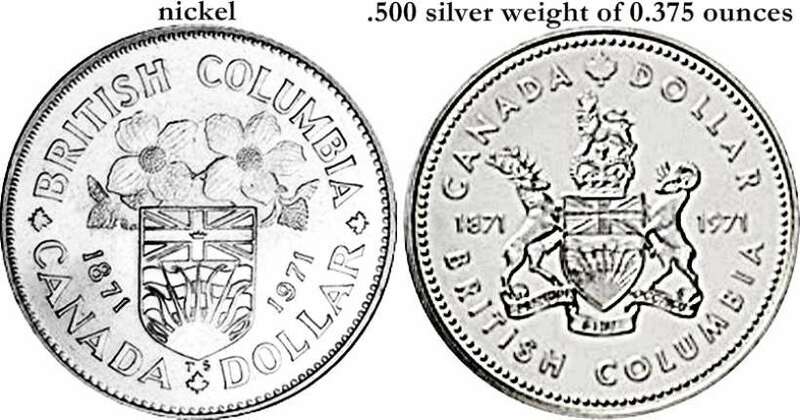 The positions of Canada-Dollar and British-Columbia are reversed on yours as well. Maybe a dollar collector will show up here and help you. I'm just large cents. momofjbsl wrote: Looking under 1971 coins, there seems to be only one kind (flowers) and no notation of another type. Your piece is silver with a different conception right. I'm pretty sure it's silver but since I'm going to be selling it, I don't want to say it is if it's not. I actually have another one that has some tarnishing on it so that is why I felt safe in my mind that it was a silver piece. But again, as per your link, there is a difference in the price depending and I am looking for confirmation that it is silver. Should I post a pic of the other side for you? I've collected coins I like for a long time but I have only now started paying attention to what I have because it's time to sell them. Should I post a pic of the other side for you? No thank you but I do not need other photo because for me it is clear that this is a silver coin. In addition Shylo confirms what I said. Thank you to all of you who responded to me. I appreciate that you are willing to share your knowledge with me.